You are looking at a photo of the newly revealed (and available) June Swag Bag from Paper Issues. Swag Bags are Paper Issues monthly embellishment kit. If you haven't subscribed yet, I suggest you take a look. It's so much fun to have this kit arrive in your mailbox each month. Did you notice the pretty, colored triangle sequins? How about the wood sequins? 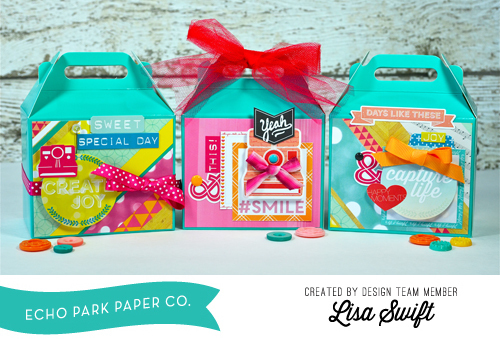 The kit is a steal at $9.99, but you can get it for 20% off with the code LISA20. Please see the Paper Issues store for all of the details. Happy Monday! It's time for a new linky party at Paper Issues. This one's called, The World is a Circle, sponsored by Ruby Rock-It. We want to see projects that have circles of all kinds (think buttons, brads, sequins, enamel dots, polka dots and more). Link up projects about travel or something that has a map or globe on it. You could even share projects you've done with any Ruby Rock-It collection. 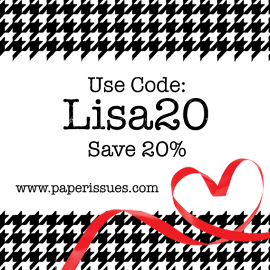 You can find all of the details about the link up, and the generous Ruby Rock-It prize, right here. I hope you'll join us! 1. Two (2) pieces of sturdy, white foam core board. 2. One (1) 24" x 24" vinyl backdrop (optional). 3. 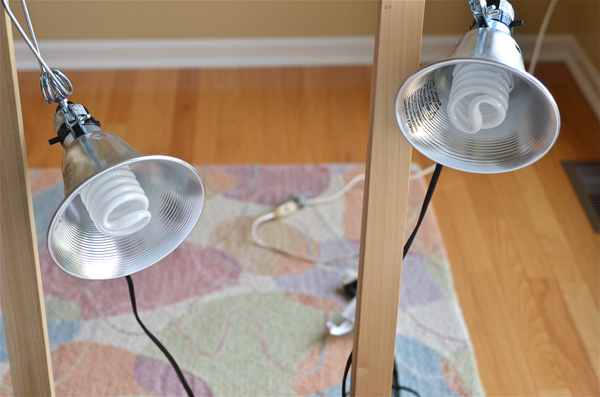 Two (2) metal clamp on work lights, each fitted with a 1450 lumen, 6500 Kelvin (daylight/natural light) compact fluorescent bulb. You can find these, and the lights, at Lowe's. 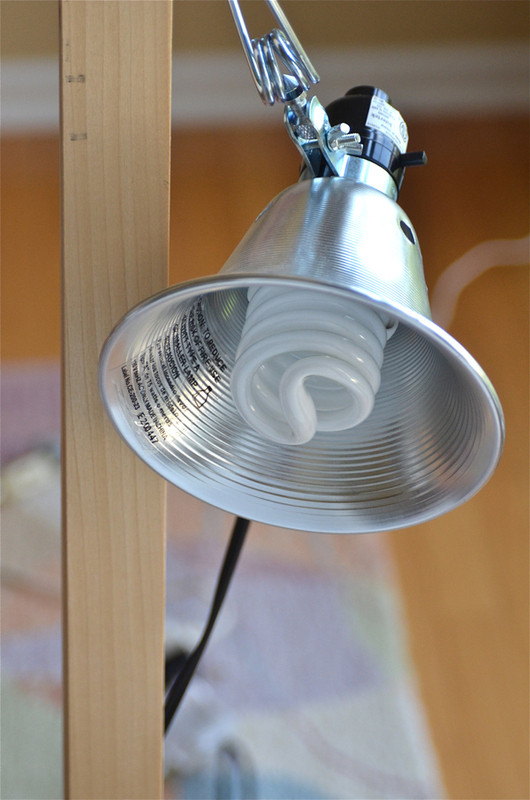 I use Sylvania bulbs with a 23 watt output. 4. Two (2) portable, positionable stands or tripods to clamp the lights onto. My handy husband built stands out of wood. 5. One (1) dining/kitchen chair. 1. Position the chair next to (parallel) a natural light source. In my case it's the windows in my craft room. I pull the shades up to let in as much natural light as possible. 2. Place one (1) piece of foam core board vertically against the back of the chair. 3. Adhere the backdrop to the board. I use washi tape because it's easy to remove. 4. Place a second piece of foam core board on the seat of the chair, perpendicular to the other board. 5. Position the lights so they are focused on the spot where you are going to place your card, about halfway up the project. The left-hand light should be angled toward the right and the right-hand light is angled to the left. Think of it like the three points on a triangle. Where the light beams meet would be the top-most point of the triangle (or the center of your card). 6. Turn the lights on and let them warm up for about five (5) minutes to achieve full brightness. 7. While the lights are warming up, place your card in the center of the horizontal board. 8. Sit on the floor, between the two lights, and photograph the card straight on. Do you want to use props? If you're taking photos for submission purposes, it's best NOT to use props. Magazines want straight on, clutter-free photos. 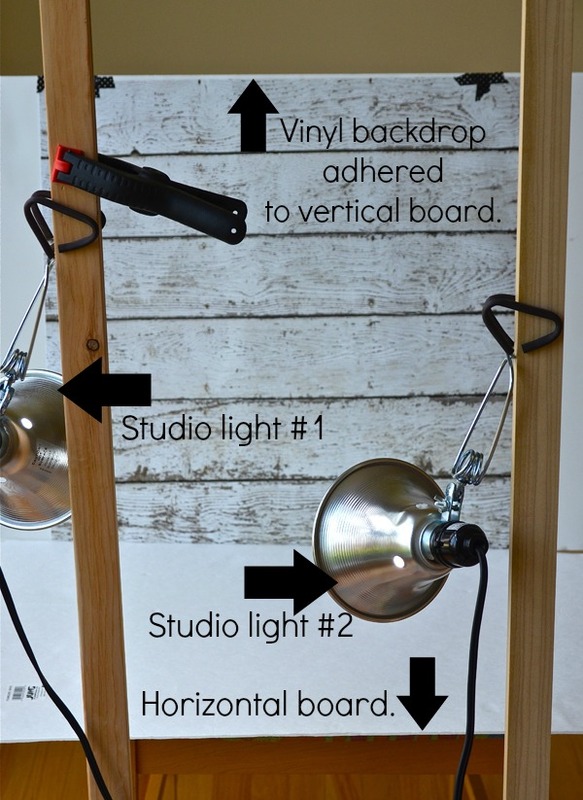 Do you want to use a vinyl backdrop or a complementary patterned paper instead? 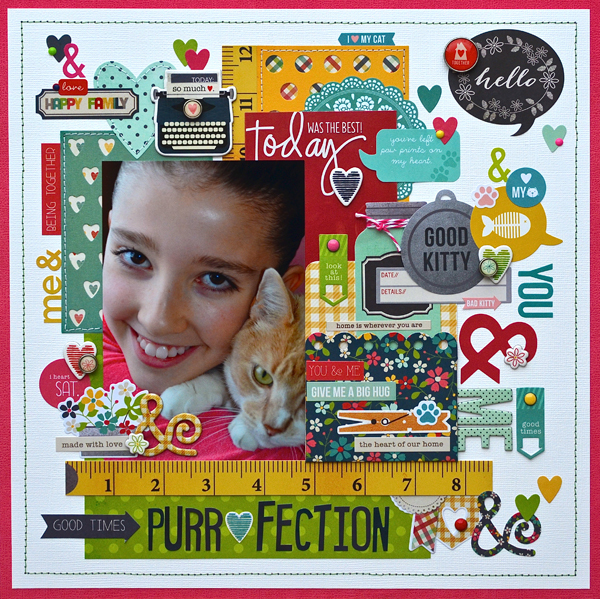 When you edit your photo think about adding add frames, icons or even text for added interest. Here are some examples of each of the options mentioned above. 1. Vinyl backdrop, no props. 2. Vinyl backdrop, with props. 3. Vinyl backdrop adhered halfway down the vertical board and draped onto the horizontal board, with props. 4. No backdrop, no props. This is the set up you'd want to use when taking a photo for submission purposes. 5. Patterned paper backdrop, no props. 6. No backdrop, with props. 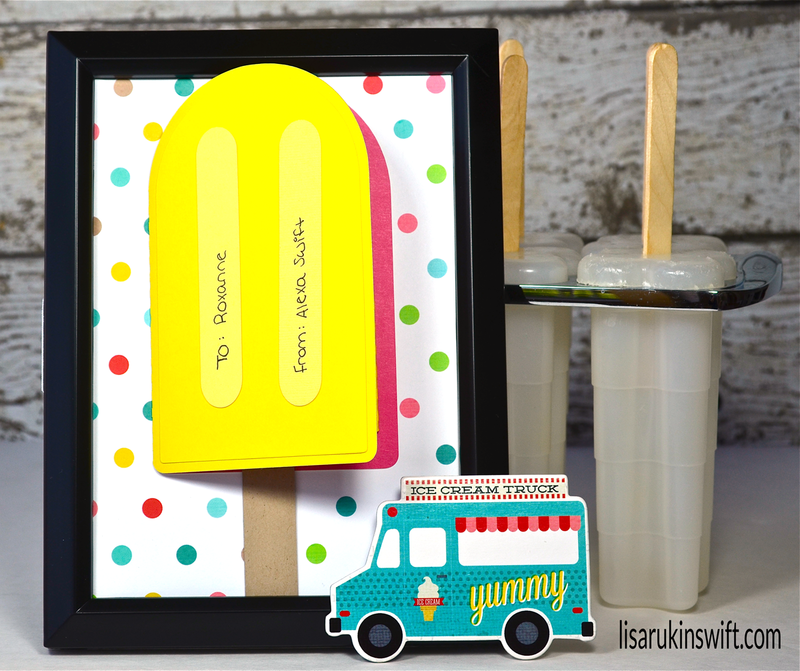 Use PicMonkey to add frames, text or icons to your photo. This is a free, easy-to-use photo editing program. Thanks for stopping by today. 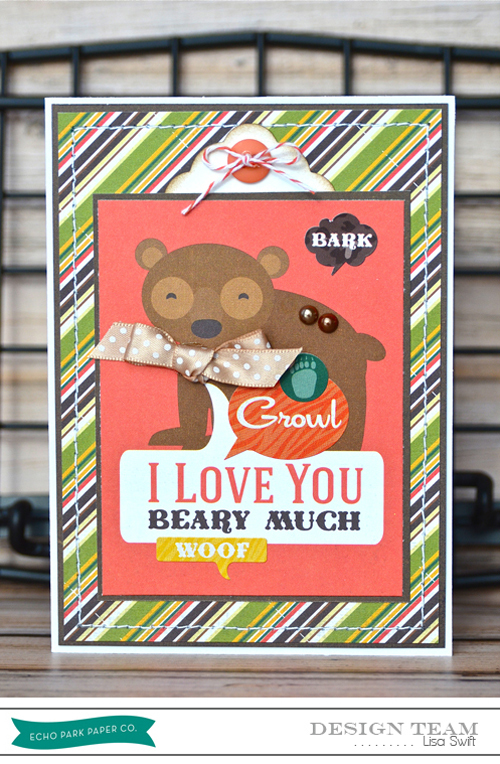 I hope you're inspired to try out some different ways of staging and setting up your card projects. Feel free to contact me if you have any questions or suggestions. I'll be back with a new post on Monday. In less than a month's time, Alexa will be a teenager! How did that happen? From newborn to thirteen in the blink of an eye. 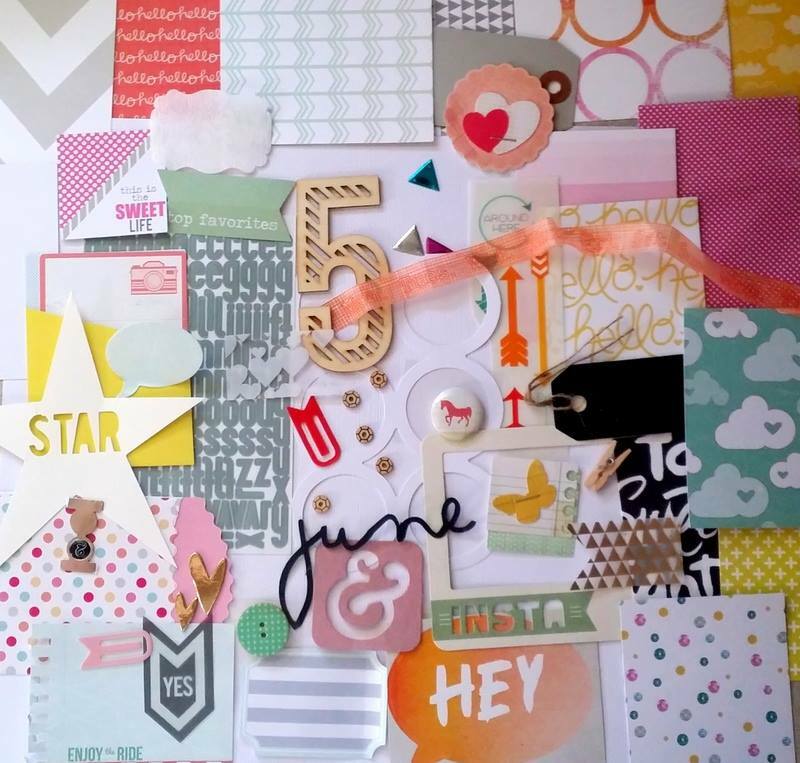 I created this birthday card for her using Simple Stories DIY Boutique collection and items from Paper Issues' May Swag Bag, an awesome embellishment kit offering a little of this and a little of that, delivered right to your door every month. You can check it out right here. Use the code LISA20 to get 20% off, along with anything else your little scrappy heart desires. Think of it as my birthday gift to you (even though we're supposed to be celebrating Alexa's birthday)! 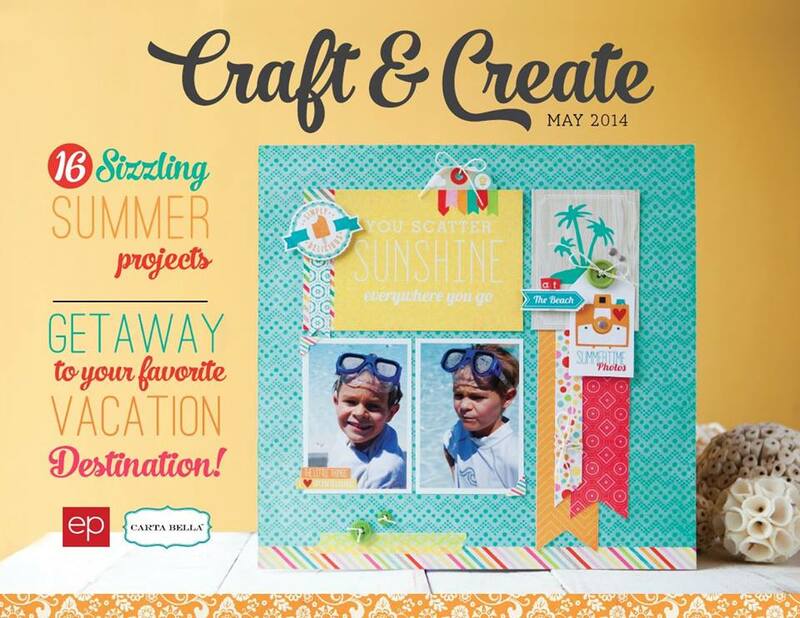 Echo Park released the May edition of their Craft & Create idea book last week. 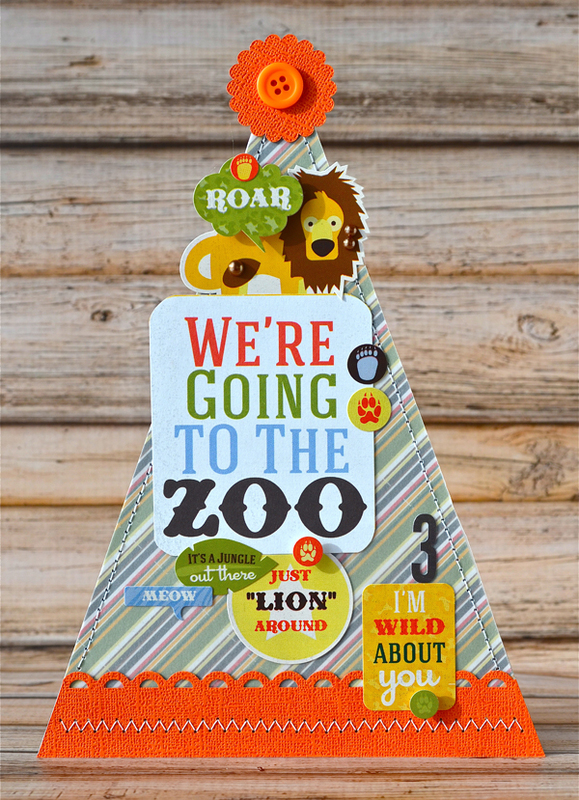 It's full of inspiring projects from the Echo Park and Carta Bella design teams, along with supply lists and instructions so you can easily recreate the projects yourself (including step-by-step instructions on how to make these zoo-themed party hat decor pieces). Download your free copy here. I have two other projects in the book, on pages 6 and 16 so be sure to check those out while you're flipping through the interactive pages. 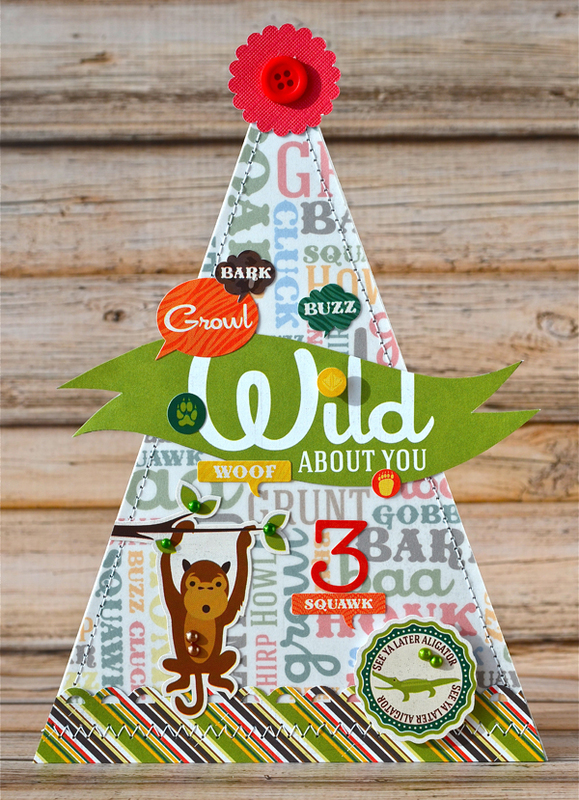 I created these party hats to be used as a centerpiece for a child's third birthday party using products from the Day at the Zoo collection. Here's a closer look at each of the hats. These were all created on triangular pieces of chipboard that were actually meant to become a banner. I turned the pieces upside down (with the point facing up) so they resembled party hats instead and glued a small wood piece to the back so they'd stand up on their own. 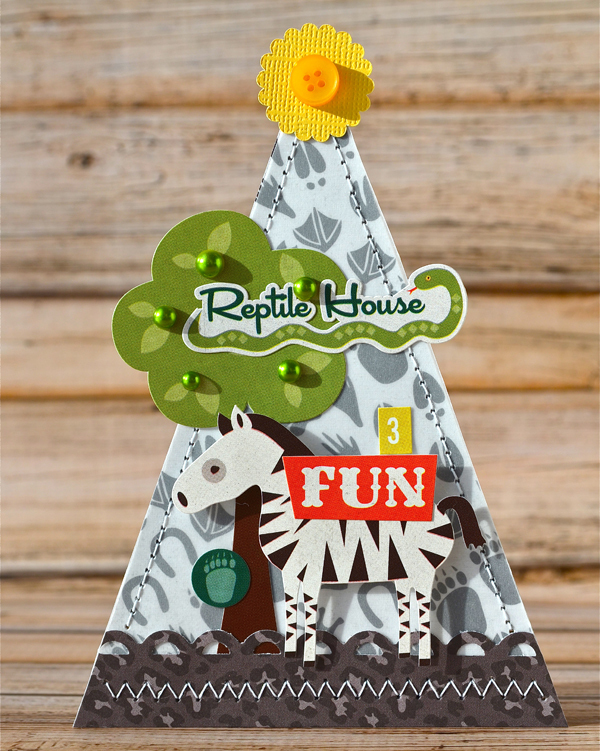 If you'd like detailed instructions on how to put these cuties together, be sure to download the idea book. It's that time of year again, when thoughts start turning to end of the school year teacher gifts. You know, that frantic time of year when your mind races as you try to figure out what you're going to get your kids' teachers. While I don't yet know WHAT we're going to get, I do know how we're going to package the gifts. I found these adorable turquoise gift boxes at Target (in the party section) and altered them with Echo Park's new Capture Life Color collection. Here's a look at the box in the middle (see photo above). There's definitely a mix of great color going on here, don't you think? To see individual images of these boxes and more detail shots, please visit the Echo Park blog. Thanks for stopping by today! 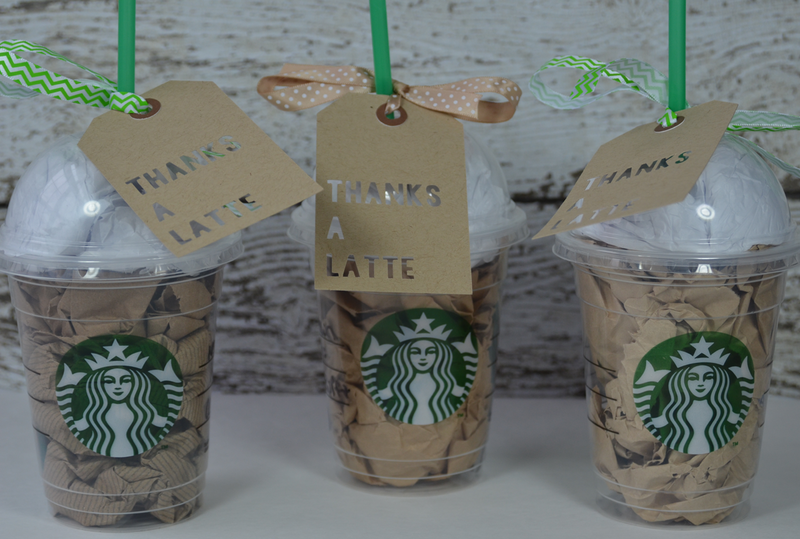 I'll be back tomorrow with an easy teacher gift idea. 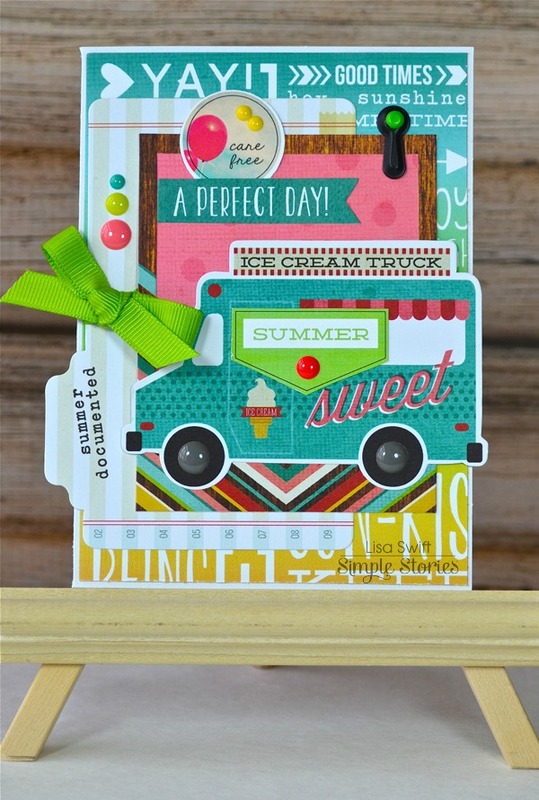 Yesterday I posted a card featuring Simple Stories new summer release, Good Day Sunshine. Today I have a layout to share with you using the same collection. I just love the fresh rainbow of happy colors! What do you think about this collection? 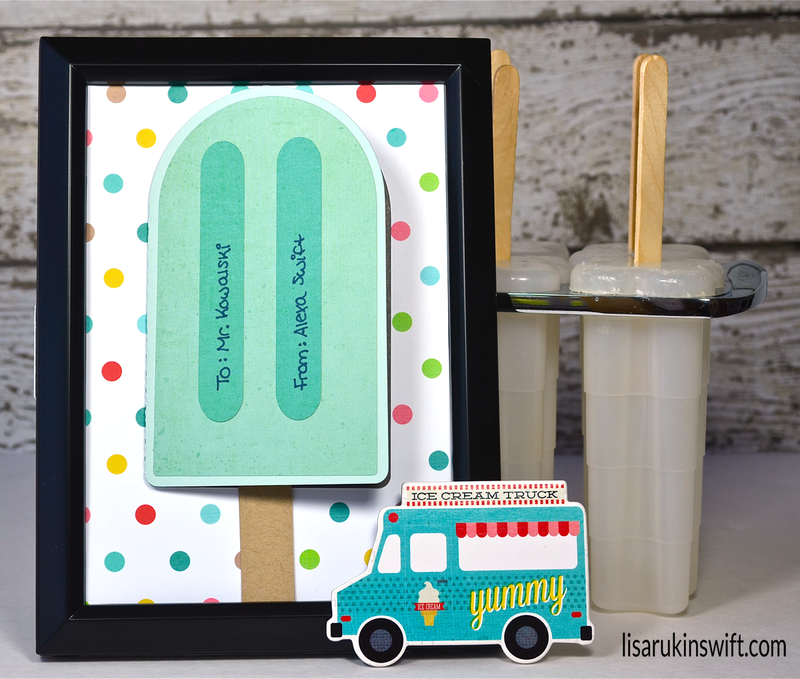 Is it a must have for documenting your summer memories? 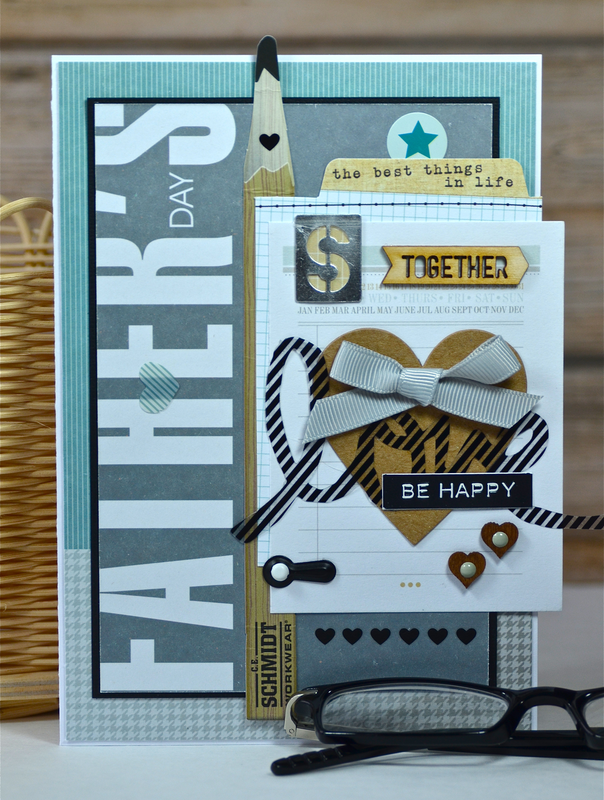 Linking up to The Memory Nest's Crafty Creations No. 17. 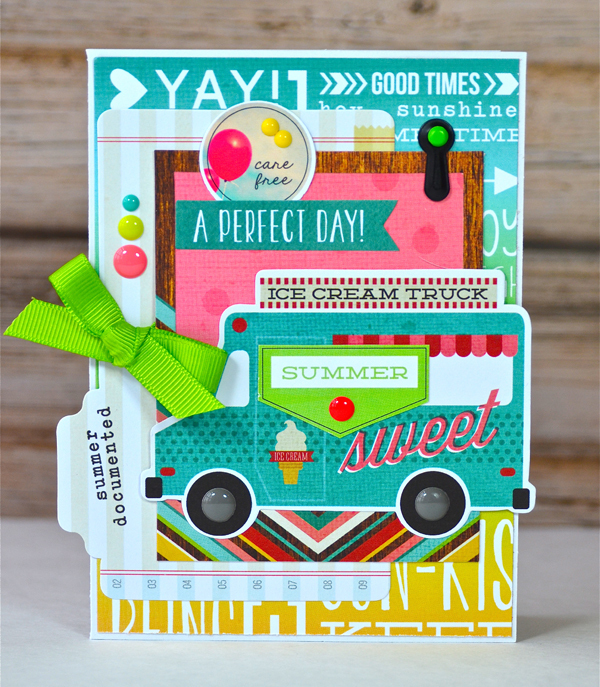 Today I'm sharing a card made with Simple Stories new summer release, Good Day Sunshine. I absolutely love this collection for its rainbow color palette mixed with vintage elements! 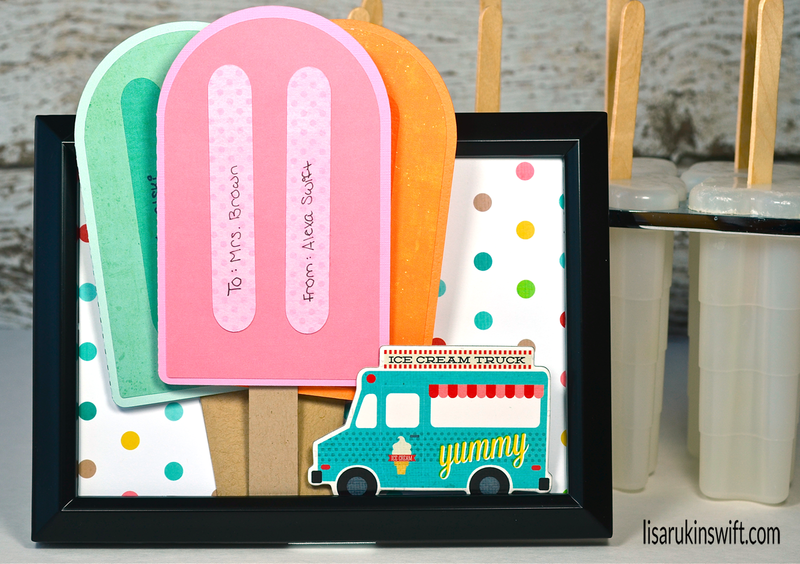 I'll be back tomorrow to show you a fun summer layout using this same collection. Today I'm sharing a page I did just for fun, just for me, not for an assignment. It felt really good to pull out all sorts of embellishments and get to work! This page features Echo Park's Capture Life Color and Black & White collections. I put the focus on black, white, gray and red because those are the colors in Alexa's dance costume. 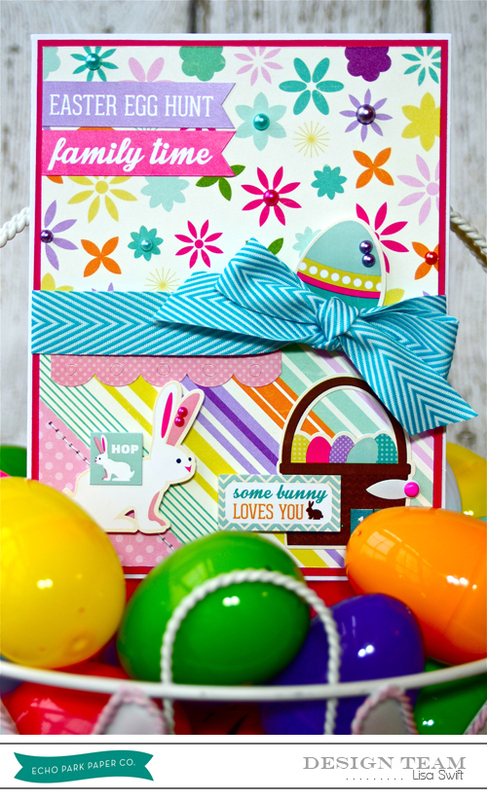 I also used loads of embellishments from the May Swag Bag available at Paper Issues. 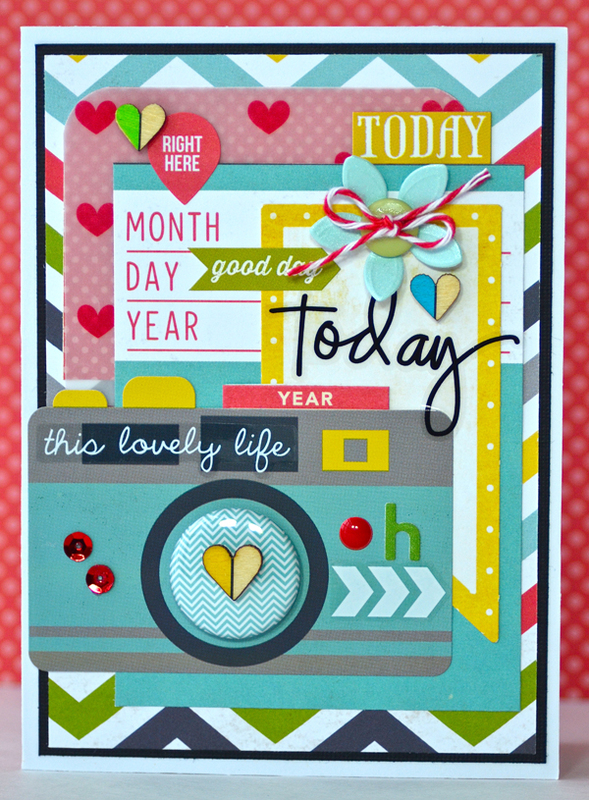 This is an awesome monthly embellishment kit! Be sure to check it out. You can get it (and anything else that catches your eye) for 20% off with the code LISA20. Thank you for stopping by today! 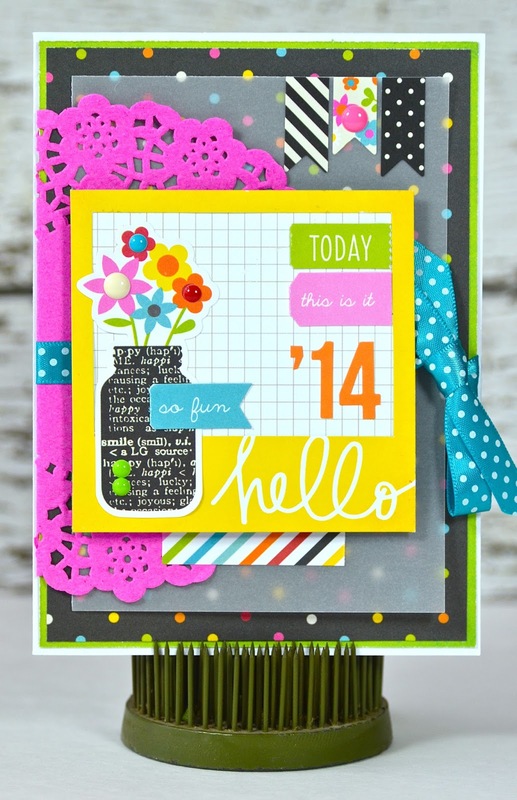 I'll be back tomorrow to share a look at one of Simple Stories new releases, Good Day Sunshine. 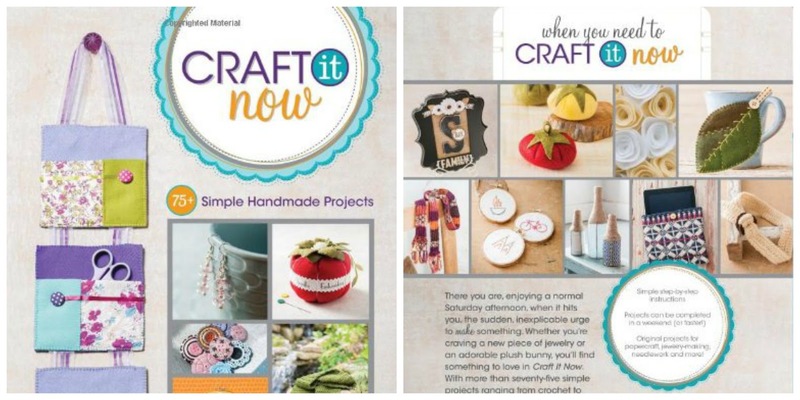 On Thursday of last week, I posted a giveaway of the newly released Craft It Now idea book by F+W Media. Last June I was invited to contribute to a crafting idea book to be published by F+W Media. The book has just been released and it has over 75 ideas for quick and easy handmade projects, complete with detailed instructions — everything from jewelry making to sewing to home decor. There are cards and altered projects featured as well. I'd love to give away a copy of this book to one of my blog readers. Because it's 128 pages and heavy, I'm going to have to limit this giveaway to my U.S. readers. I'm sorry about that. If you'd like a chance to win, just leave a comment on this post and become a follower (if you aren't already). That's it. Keeping it simple. I will post the winner on Monday, 5/5 at 8:00 EDT.